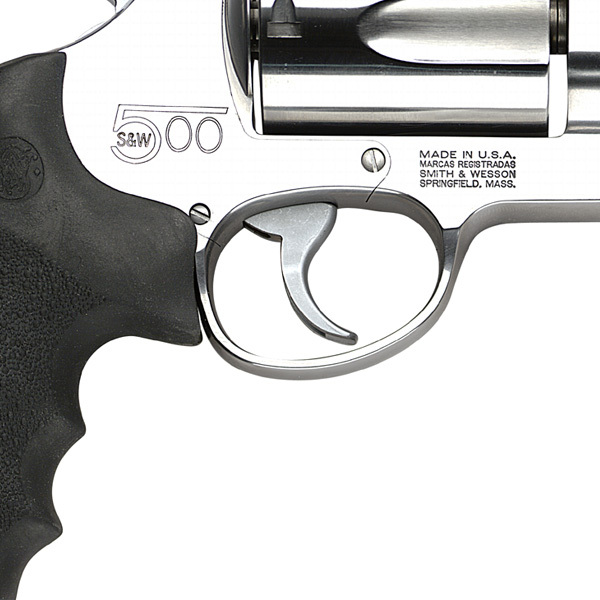 The Smith & Wesson Model 500 is the most powerful non custom built revolver as of 2012. 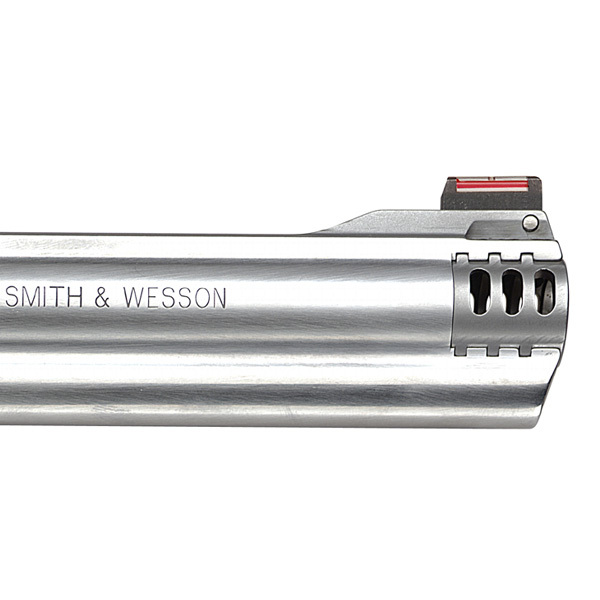 This doesn't mean you can't build a bigger stronger revolver it just means you can't buy a stock revolver with more power than the Smith & Wesson Model 500. 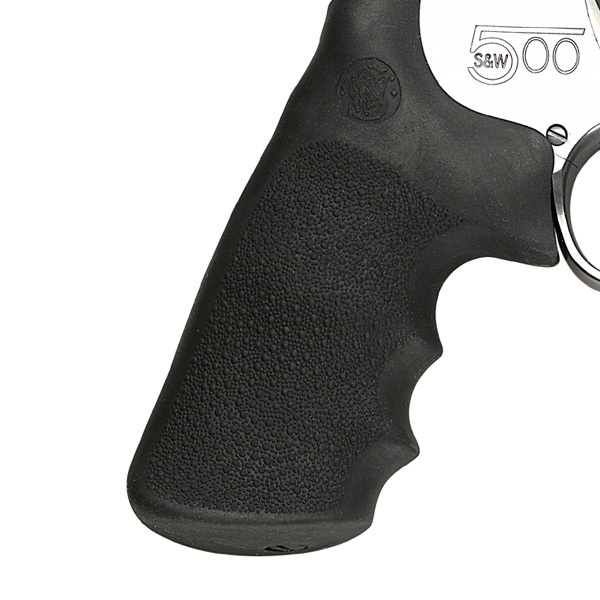 The Smith & Wesson Model 500 is a double action revolver is what many people would call a hunting revolver. 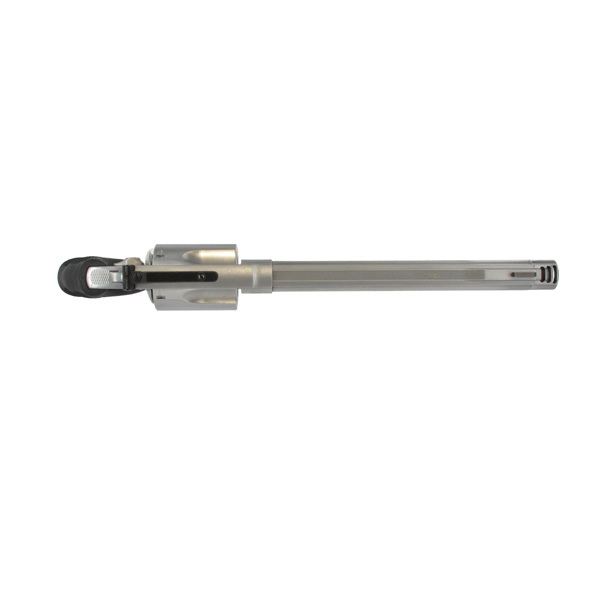 It's a large caliber handgun that packs the power of the .500 S&W Magnum a 50 cal semi rimmed handgun cartridge that was designed in 2003 by the company Cor-Bon and S&W X-Gun engineering team. 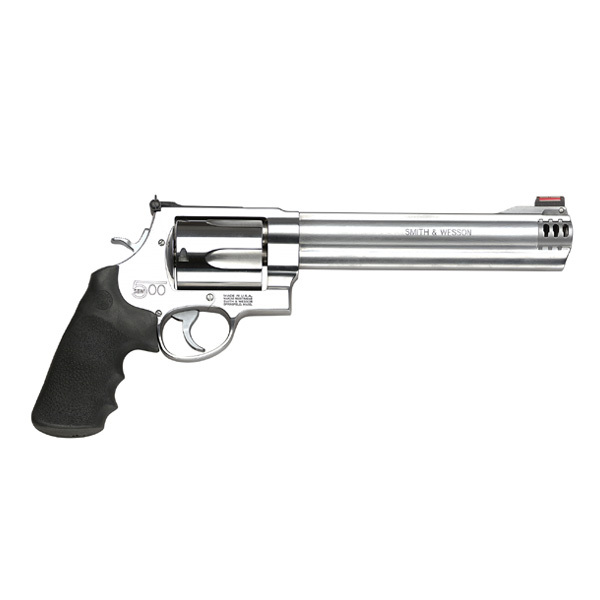 The Smith & Wesson Model 500 holds 5 rounds, a satin stainless steel finish on frame and cylinder and weighs 72.5 oz. If you want to post comments, questions, and photos below.